Buhari To Unveil $70m Oshodi Transport Interchange - AutoReportNG "AutoReportNG-The No 1 Car Blog In Nigeria That You Can Trust - AutoReportNG"
One of the state officials, who spoke with newsmen in confidence, described the transport interchange, as the first of its kind in Africa, which he said, was similar to Victoria Terminus in London, the United Kingdom. “That informed Ambode’s decision to construct other bus terminals – Ikeja Bus Terminal, Berger Bus Terminal, Yaba Bus Terminal, Oyigbo Bus Terminal, and Race Cross Bus Terminal – to make Lagos function like other megacities in the developed world. 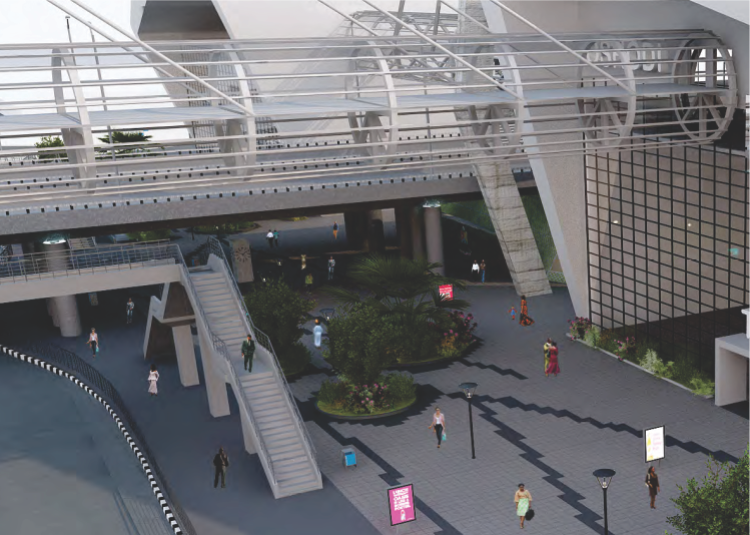 The statement, therefore, said the transport interchange would consolidate all the 13 city and interstate bus parks into 3 multi-story terminals, providing standard facilities including waiting area, loading bays, ticketing stands, drivers lounge, parking areas, restrooms, accessible walkways and pedestrian sky-walks linking all the 3 terminals.